What is Holistic Occupational Therapy? Occupational Therapy is already a holistic field that addresses many aspects of a person’s life; their Activities of Daily Living or occupations, from the individual to the environment. Holistic Occupational Therapy combines OT with complementary and integrative health. 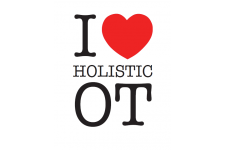 The Holistic OT Community provides the occupational therapy profession a place to connect with OT practitioners interested in or practicing complementary and integrative health, wellness, and prevention and those seeking these services, as part of occupation based practice. The Holistic OT Community values connecting with and serving the whole person – mind, body and spirit, including the whole environment. Practitioners are healing artists and role models who embody self-care, therapeutic use of self, mindfulness, presence, spirituality, universal connection, balance, the life journey, love, joy, and peace as the catalysts to health and wellness. Those seeking a Holistic OT Community practitioner can find competent OTs who have experience and education in complementary and integrative health, wellness, and prevention through the practitioner directory. Relevant resources, education, evidence-based practice and advances in neurosciences are shared through research, classes, events, videos, and articles. Check out the article from 2012 that was the seed for this growing community Holistic Occupational Therapy: Complementary and Alternative Medicine is an Expanding Practice Area in the Profession. Go here to learn about our memberships options.